If you've been following T.F.M. lately, you know I've been geeking out on several different propane camp stoves and most recently been figuring out and cooking with the Eureka! Spire XL Camp Stove with the optional (but crazy awesome) Jetboil Luna Satelite Burner. The two sentence review (with a more in depth one coming) of the Spire XL Camp Stove is that this feature heavy stove is really excellent to cook from and I am beyond impressed with the Jetboil Luna Satellite Burner which boiled water in the 1.0 liter Spare Cup in less than three minutes and worked perfectly with the Jetboil Coffee Press. The genius of this cook system is that you can have both camp stove burners busy with breakfast and still keep everyone's coffee and hot chocolate cups filled with the Jetboil burner. While on the Eureka! website this week I noted the smaller, but no less capable, Spire Camp Stove was on sale for $30 off which certainly makes this setup a deal. 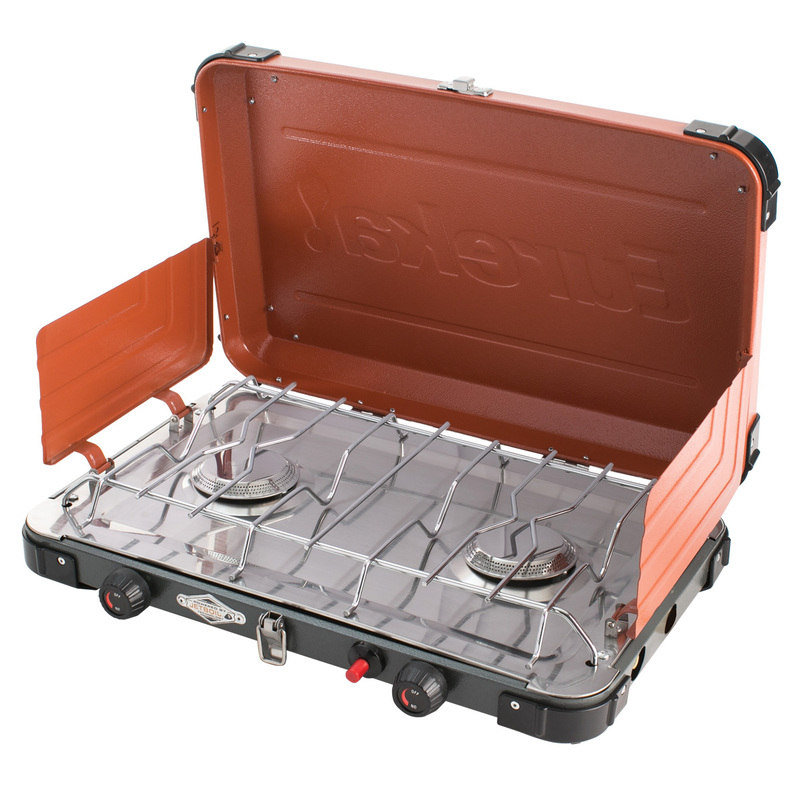 The Spire Camp Stoves are powered by Jetboil, have push button ignition, burn at up to 10,000 BTU's, have a removable grate, solidly built construction, and best of all, the Jetlink Accesory Port allows the Spire Camp Stove to be linked together to share fuel source with another Spire stove or to plug in the Jetboil Luna Satalitte Burner. The takeaway on the Spire and Spire XL is that if you don't need to cook with oversized pots and pans at camp, the Spire should cover you just fine. At half the price of the Spire XL, this is a deal you might want to take advantage of if you're looking to upgrade your camp setup. Visit the Eureka! website for more information or to place an order. 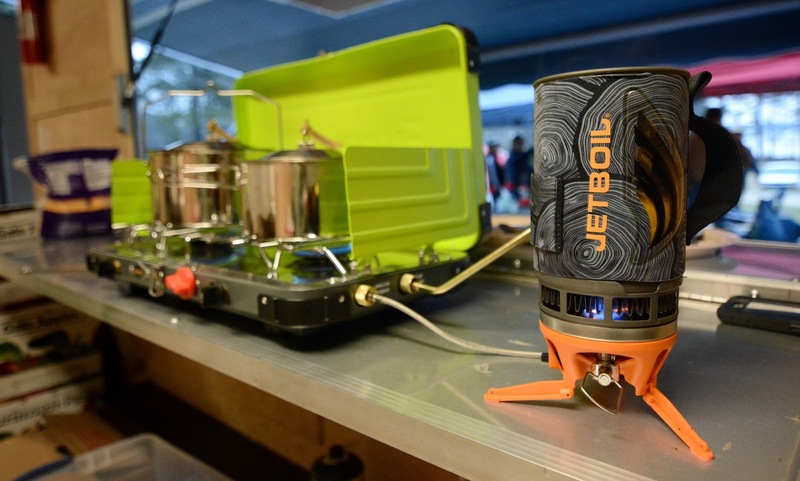 Be sure to jump over to the Jetboil website to pick up the Luna Satelite Burner to complete the package.